An in between tool that trims down 9 additional size Flying Geese units not covered with the Wing Clipper I. Many of today’s best designers like to create quilts and patterns with Flying Geese units that are based on finished heights of ¼” and ¾” increments. They are sometimes just the right size for a particular design and having a tool that gives you the opportunity to make them quickly, and then clean them up with high precision is a welcome addition to many quilter’s tool box. 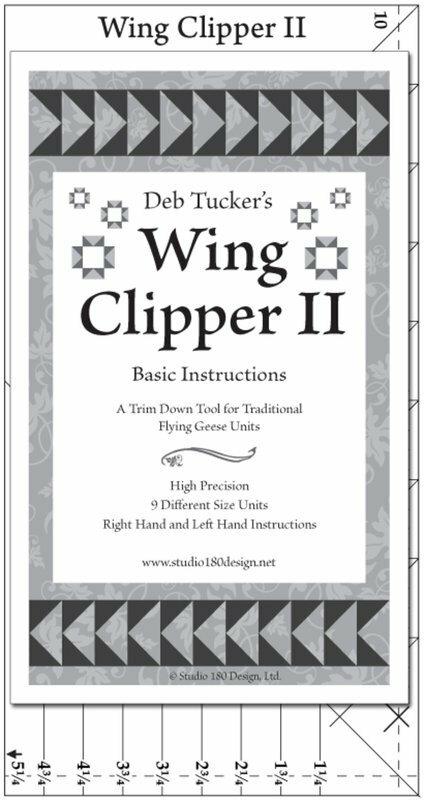 By adding this tool to the Wing Clipper I you will have 19 different size options for traditional Flying Geese units. Call if unsure of which Wing Clipper you need.